It’s always an exiting occasion, when going into the hide in total darkness. At first there are only sounds, mainly the calls of ravens, claiming the site. Soon the eye will start to make out what is going on. A little shiver will go through, when I see the large silhouette’s of Sea Eagles around. That’s what I came for. Photo info - Autumn: : Nikon D4 + Nikkor 400mm F2,8 VR. F2,8, 1/160, ISO 4000. 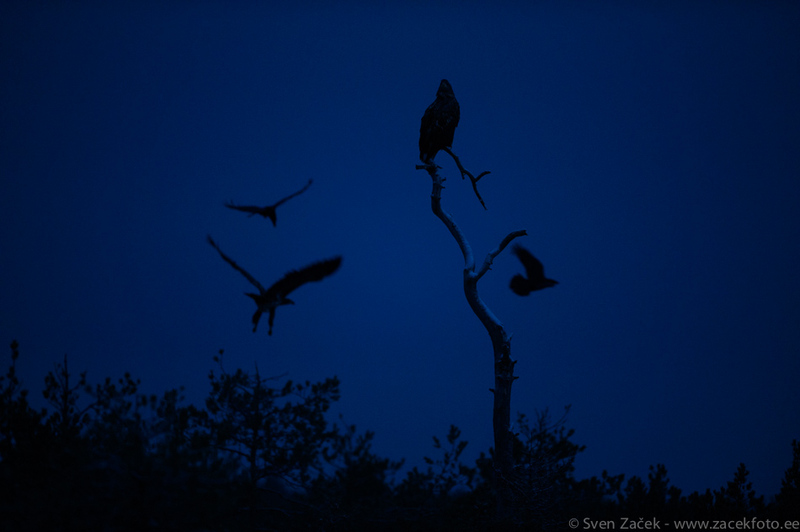 Cool, Sven: perfect description of daybreak in the hide!